Bad landlords can be an incredible source of stress and hassle. Responding with anger can exacerbate an already tense conflict preventing any sort of negotiation. On the other hand, an unscrupulous landlord may take advantage of a passive tenant leading to monetary losses that may be difficult or time-consuming to recover. Fortunately, there are many consumer groups and non-profit organizations available to give tenants information, advice and legal assistance. Before resorting to the courtroom however, tenants may be able to accomplish a lot with a small amount of information and a large amount of patience. Know your rights and responsibilities. The biggest mistake that a tenant makes when renting or attempting to leave a lease is not to research their state and local laws. These laws can be easily found on the Web. Visit the Landlord Assn. 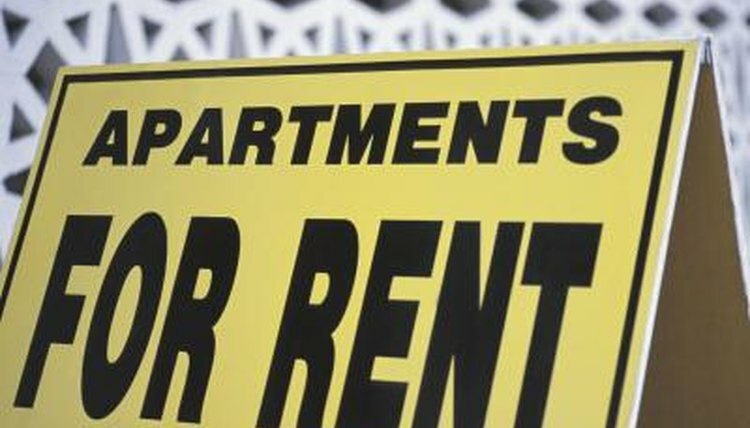 website in the resources section for a convenient link to state landlord/tenant laws. To find local agencies that can provide you with more information, contact your local landlord-tenant court or county court clerk and ask for pamphlets or contact information for local consumer groups. Document everything. Regardless of whether a landlord seems to be a saint or a curmudgeon, avoid making verbal agreements. Save copies of your lease and all correspondence so that you may use it to support a claim should one arise. Be aware of your tone in this correspondence. A polite letter will not only help a negotiation process, but it will improve your image should a complaint eventually reach an arbitrator or courtroom. Threaten with a smile. If your landlord is violating state or local ordinances, such as failing to make repairs or notify you of home inspections, be sure to enforce your rights. A polite but strongly worded letter indicating the action you want taken will enforce your documentation and may resolve any problem outright. When dealing with particularly poor landlords, be sure to cite the legal grounds for your demands. A landlord's primary interest is to make a profit, and the threat of a lawsuit or investigation by a housing authority is a compelling reason to perform. File a lawsuit. Suing your landlord should usually be a last resort action. However, if the need arises you should not hesitate. Contact your county court clerk to briefly describe your problem and identify the proper venue for filing a lawsuit. Your state may also require arbitration or mediation before allowing the lawsuit to be heard. Bring witnesses or other tenants to the trial if they will strengthen your case. Present an organized case with all of your documentation. Do not stray off topic or let your anger and frustration control your actions in court. Proper etiquette will strengthen your image in court and help you obtain a favorable settlement. A freelance writer since 2007, Jack Spencer focuses primarily on legal and scientific topics. He also runs a copyrighting firm specializing in small-business marketing and academic research. Spencer received his B.A. in political science from the University of California. Spencer, Jack. "How to Deal With a Bad Landlord." , https://legalbeagle.com/4704183-deal-bad-landlord.html. Accessed 21 April 2019. How Does a Landlord Go About Evicting a Tenant?